When you think of LED lighting, you generally think of battery-powered devices with loose batteries that can be replaced as they run out of power. However, a battery powered lantern can help you eliminate long-term costs associated with battery purchases, but the battery might also lose its quality over time and deteriorate. 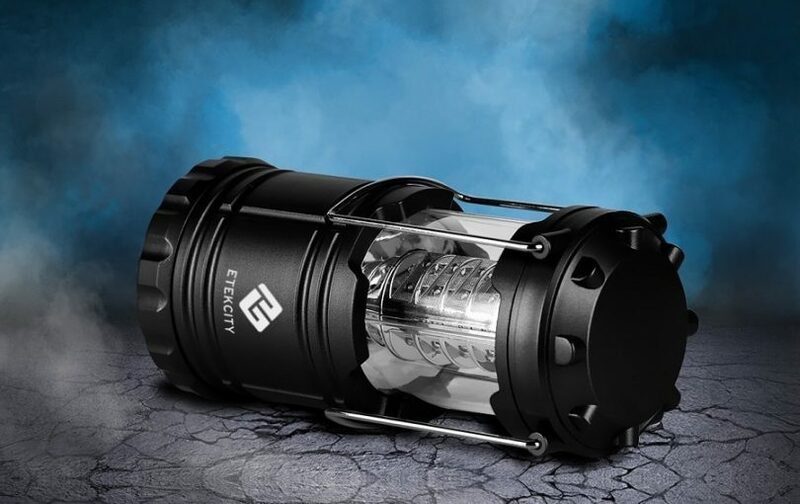 Lighting Ever is not a brand that the experts frequently rant about, but with digging, we found the LE Rechargeable LED Camping Lantern for people who love camping. The 4-hour battery life is not really that much, but for short camping trips, the 600-lumen brightness will offer you a decent surge of lighting when needed or in emergencies. In this article, we discuss some of the important features of this lantern. These features have been tested to see how they work in the field. Read on to find out if this lantern is the ideal option for you. 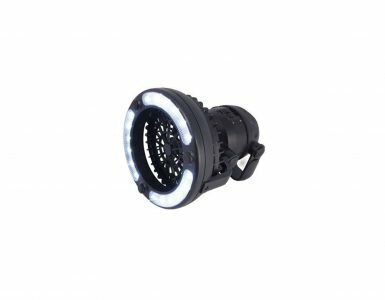 Picking up this lantern gave me massive expectations that could often make the product perform at a lesser rate than you would expect. However, the LE Rechargeable LED Camping Lantern did what I expected from it. The 1800mAh battery is really functional and does not take too long to be fully charged, but with only around 4-hours of battery life, it might drop you in crucial times. The 2 small torches are not something that you would consider the best, but they make a handy addition to your camping trip. These torches are designed to help you light up the area when you are moving away from the lantern. The use of simple D cell batteries that is easy to replace when they run out of power. As many of the lanterns, this lantern is weather resistant. It has a waterproof rating of IPX, which may not make it completely waterproof in storms, but definitely enough to resist a little bit of drizzle. If you only need to use a lower brightness setting, the switch can be navigated to change the brightness to meet your specific needs, or to save some battery life. I personally like the S-hook that has been included; it gave me the opportunity of hanging the lantern in the tent, out of harm’s way. In terms of the charging ports and the USB that has been included will offer you versatility. It can be charged on your normal charger in the wall, or in your car. The car charger might not be the best option for a fast charging speed, but it is handy when you need it for any emergency that could potentially arise before you get home and recharge the lantern. Finally, people will notice a small compass included, but personally, I would not recommend that you rely on the compass for your direction and it does occasionally malfunction. If you need a compass, you should look for something a little more advanced or perhaps even buy a new GPS. The materials that have been used for the construction seem really durable, but we did not have the opportunity to put them under strenuous pressure to find out whether they will hold up. If you need a lantern that will get the job done, this will be a great option that you could consider. Thee are many brands and this is one of the cheaper models, mostly marketed for beginners who like to add to their kit. I bought this lantern for the 600-lumen brightness and this is one of the features that you will use the most. It is worth noting that the flashlights are not really the best as we have already mentioned. Overall, I would definitely recommend the LE Rechargeable LED Camping Lantern if you need something small and affordable. However, it is not the best option for professional use. Many people we have talked to generally consider this to be a great option for children going along on the trip, but you need to tell them about the short battery life. When you are searching for a lantern, it can be easy to fall for something with a lot of versatile features. Many of the knock-off brands often use this as part of their marketing gist to help rope in new users. 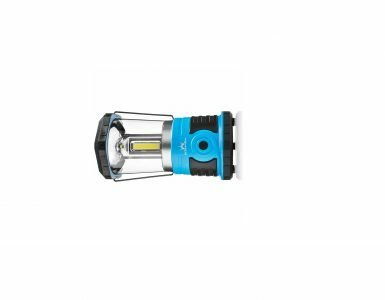 However, the LE Rechargeable LED Camping Lantern is not a knock-off and all the features that you need like brightness, will work as it should and keep your world lit up. Doing a review on the LE Rechargeable LED Camping Lantern was really fun and the camping trip is always worth it to see how the lantern matches up to some of the elite brands. We would like to thank you for reading this article and encourage you to share some of your thoughts. Let us know in the comment section if you have ever used this lantern.